Leonard hits game-winner with 4.2 seconds remaining as Nets lose fifth in last six and drop to .500. 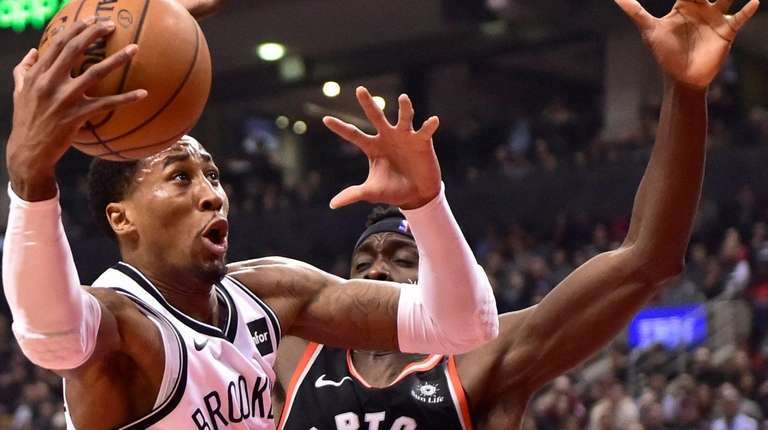 TORONTO — With five losses in their past six games, the record doesn’t reflect their progress, but the Nets are getting closer to whole as reinforcements arrive from the injured list. 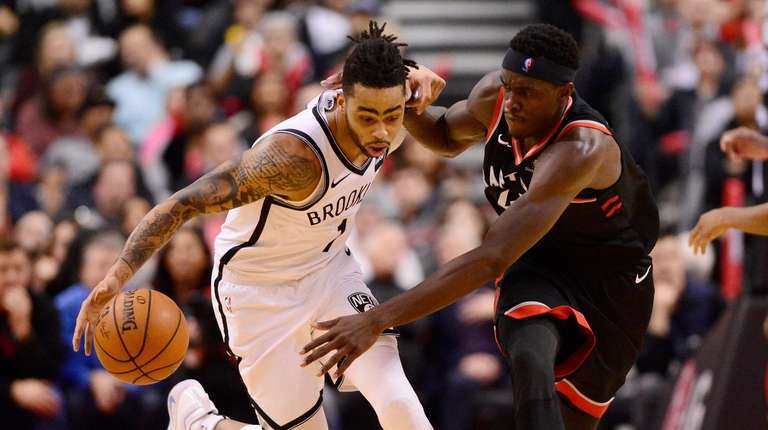 Allen Crabbe and Caris LeVert saw increased time off the bench Monday night at Scotiabank Arena, and Crabbe’s hot shooting at the end of the game nearly lifted the Nets to a victory over the Raptors. But the new player who made the biggest impact was Marc Gasol, who scored 11 fourth-quarter points in his first Raptors home game since being acquired from Memphis. He sparked a strong finish that star Kawhi Leonard completed when he banked in the winning jumper with 4.2 seconds left in a 127-125 victory over the Nets. Their fourth straight road loss dropped the Nets to 29-29 with a game in Cleveland on Wednesday night before they head to the All-Star break. The Nets got terrific performances from D’Angelo Russell (28 points, 14 assists, seven rebounds), who missed a potential tying three-pointer at the buzzer, and Joe Harris, who had 24 points and shot a career-best 7-for-8 from three-point range. Crabbe performed well in his third game back with 22 points, including a pair of threes that tied the score at 120, but in his second game back, LeVert scored only six points on 3-for-11 shooting. Even so, a late 13-3 run that ended with two foul shots by Harris for a 122-120 Nets lead with 1:13 left was a good sign, and Russell hit a three with 50.2 seconds left that gave the Nets a 125-122 lead. Just not quite good enough to beat the Raptors (42-16), who have won five in a row and shot 54.3 percent for the game. Leonard had 30 points, Serge Ibaka totaled 18 points and 12 rebounds, Pascal Siakam added 17 points and Gasol had 16. LeVert struggled in his second game back after a three-month absence because of a dislocated ankle. He committed five turnovers and was pulled briefly in the fourth quarter. More good injury news is on the way for the Nets. Two weeks after having torn ligaments in his right thumb repaired, Spencer Dinwiddie called his surgery a success.